In this webinar, we explore how certain tax-favored benefit programs can help you retain your top-performing personnel, including sought-after service techs. This subject was broached during a special “Strategies for Retaining & Rewarding Key Personnel” at last winter’s Dealership Minds Summit. After seeing dealer managers quickly scribbling the ideas shared by farm equipment dealers already using these creative solutions, Farm Equipment and K•Coe Isom partnered to bring a more thorough understanding and discussion on this subject through a dedicated webinar. 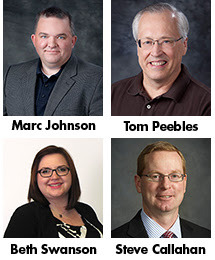 Your presenters, Marc Johnson, Tom Peebles, Beth Swanson, and Steve Callahan of K•Coe Isom, discuss a variety of options available. K•Coe Isom is a leading consulting and CPA group focused on agribusiness, including equipment dealerships. During this event, the panel explains some of the tax-favored benefit programs available, and shares how to apply these programs in the farm equipment business. How to use deferred compensation, phantom stock and stock appreciation rights in providing incentives to you Key Personnel. Do stock options have a place in your compensation package? What types of Employee Benefit Plan solutions should Companies be considering for their employees and when do they make sense. Real-World Examples: How the programs are win-win for both the dealership and the employee. This is a FREE webinar event sponsored by K•Coe Isom, which offers dealers personal consulting attention to dealerships nationwide. Email Brad Hemze with Farm Equipment with any questions about the webinar.